Welcome to Fotodarius.lt Motorsport Photography Team. This is the work of our team to bring you fresh and exciting ideas to the world of motorsport photography. Fotodarius.lt has come about from a passion and love of motor racing. 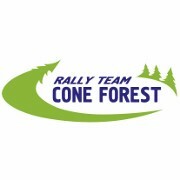 We started in 2009 and have been worked at the race circuits, rallyes and other racing places around of the Europe. 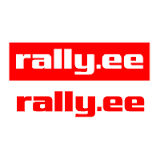 During these years, we have experience in shooting WRC, WTCC, ELMS, ETCC, ERC, EEDC, World Series by Renault, World Speedway, World Motocross MXGP, European Autocross Championchip, World Cross-Country Championchip, World Freestyle Motocross Championchip and other National Championchips in Poland, Estonia, Latvia and Lithuania. At an Event we work with two photographers to give you a wide range of images: action, portrait, service park or pit-line and scenery photography. Alternatively you can request a privat assignment and have dedicated time for you our your group at a location of your choice. Our mission is provide you with the best service and the best product, what ever your brief might be.